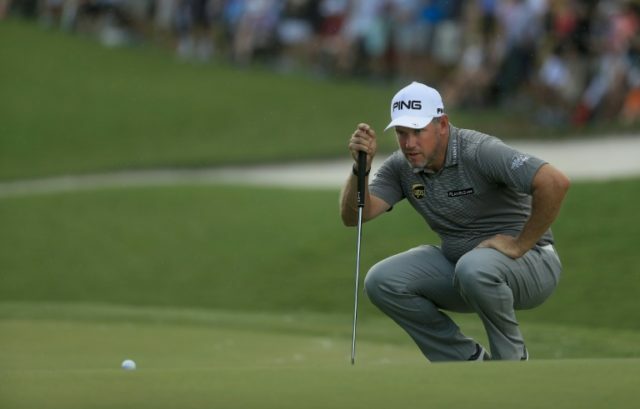 Newcastle (United Kingdom) (AFP) – Rory McIlroy, Sergio Garcia, Martin Kaymer and Graeme McDowell add lustre to this week’s British Masters but tournament host Lee Westwood is aiming to upstage the clutch of Major winners. The event, which tees off on Thursday at Close House near Newcastle in northeast England, is the third to be hosted by one of Britain’s top-ranked stars, with Justin Rose hosting the 2015 tournament and Luke Donald greeting players a year ago. Westwood’s success a decade ago was his 18th of 23 European Tour wins but the 44-year has not tasted success since capturing the 2014 Maybank Malaysian Open. After two top-10 finishes in his past three events, including a share of third in the Netherlands, Westwood is quietly confident of upstaging his guests with victory in this week’s £3 million ($4 million) tournament. “I’ve starting hitting the ball really well and I feel like maybe a win is just around the corner,” said the Englishman, who has come close but never won a Major. Westwood, the world number 62, is happy with the strong field he has assembled, with reigning Masters champion Garcia a big draw. “It means a lot and I don’t know whether it’s me, the reason why the players have turned out, but if it is, then that’s fantastic,” he said. “It’s very nice for me as the likes of Sergio don’t play in Britain very often, so committing so far in advance we could use him in the promotion of the event. McIlroy’s late entry has boosted interest in the event as the four-time Major champion looks to secure a first win of 2017 and continue an unbroken run since 2009 of having won at least one event a season. Westwood will contest the opening two rounds in the company of Garcia and Sweden’s Alex Noren, who is defending the title. The only disappointments for Westwood have been the withdrawals of fellow British player Tommy Fleetwood, who currently leads the Race to Dubai, along with the popular Andrew “Beef” Johnston, with a shoulder injury, and European Ryder Cup captain Thomas Bjorn.